If you have experienced disaster property damage, you may be wondering what lies ahead. Fire, water, and storm damage are all overwhelming to home and business owners. Sante Property Damage Reconstruction has decades of experience reconstructing disaster properties. From mold to flooding, we have seen it all and handled it one step at a time. Our property damage repairs are top rated for quality and craftsmanship. When you hire a professional reconstruction company, we can get between you and the disaster. Our 30 years of experience gives us the know how to handle the unexpected. Insured and licensed, our trained technicians specialize in their fields. We can take fire damaged properties and turn them into an opportunity. Offering free estimates, we tailor our plans to your needs. Sante cares about the Stafford community. Our property damage reconstruction will always leave your home or business better than before. No matter how much you prepare for disaster, it is difficult to come back from fire, mold, and water damage. These unique property reconstruction needs require a professional service. From start to finish, Sante will get on your side to help with major issues like insurance claims. We know the ins and outs of the industry. Often overwhelmed, our clients can rest assured they have put their property damage reconstruction in good hands. Our experienced technicians are educated and trained. Equipped with the latest tools, we have what your home or commercial property needs to be fully renewed after disaster. If you are in an emergency, you can call us 24/7 for water damage, mold, storm damage, and fire repair services! Fire can be difficult for homeowners to face. This incredible loss can feel overwhelming. Our fire damage services take care of the process of reconstructing, step by step. We assess the fire damage repair needs and stabilize the situation. Your safety is always our first concern. Securing the structure, we prevent theft and vandalism after fire damage to homes and businesses. Sante Property Reconstruction will carefully stop the spread of soot, smoke, and odors. Call us today to get a professional fire damage repair service on your side. With water damage and flooding, time is of the essence. The sooner you call us, the better. You may be dealing with destruction from natural water flooding or plumbing and pipe breaks. We know how to handle each. Whether you have a commercial building or a home, we can help. We will eliminate water damage and reduce humidity. Quickly sanitizing the impacted space, our water damage reconstruction stops flooding in its tracks! Let us get you back home or to business with our top rated water damage repairs. Mold can be a major health hazard in homes and commercial properties. Our mold growth repairs stops mold at its source. By identifying the type of growth, we can reduce serious risks. Sante Property Damage Reconstruction proudly serves the whole of Stafford. 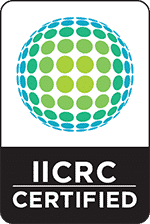 Our mold damage reconstruction is licensed and insured. Trained and outfitted with protective gear, our mold technicians know how to handle the most dangerous growths. Don’t leave your mold repair needs to the nonprofessionals! Call us today. Severe weather brings dangerous consequences for homeowners and commercial properties. Sante’s Stafford storm damage reconstruction quickly resolves issues like downed trees, high wind damage, and flooding. Our services get you safely back home or to business. If you are experiencing emergency storm damage, Sante offers 24/7 service. With storm reconstruction, it is essential that you protect yourself by hiring a professional storm damage repair company. Fast and free estimates are always available. With decades of service under our belt, we provide professional commercial property damage repairs. Experts in our field, Sante Property Damage Reconstruction is insured and licensed. After receiving your free estimate, we begin a planned step by step process to repair commercial spaces. Whether you have experienced fire or water damage, we can help now. Our services are available anytime, day or night to our clients. Trusted by the Stafford community, we mean business when it comes to commercial property damage repairs! 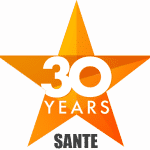 Whatever your property needs, Sante has it covered. Our general contractor services are a comprehensive solution. Fully insured, our licensed contracting handles an array of needs. Whether commercial or residential, we invest in our customers. Our general contracting includes the labor, materials, and equipment needed to turn your project into a success. Sante Property Damage Reconstruction offers emergency service and free estimates to our customers! Contact us to discover how easy general contracting can be. Dedicated to our customers and craftsmanship, you can count on Sante Property Damage Reconstruction. We handle an array of disaster repair needs in Stafford fast. Licensed and insured, you won’t be disappointed in our results. Offering claims assistance, we help you through the paperwork and stress. Whether you are facing fire damage, flooding, storm damage or mold, we have you covered. Contact us now to reduce your damage repairs quickly! Does your Stafford Home or Business have Damage?